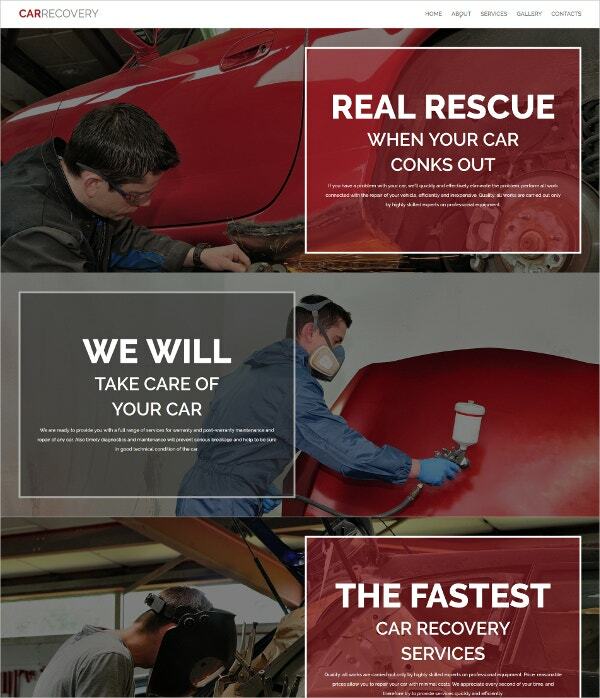 The internet is one of the best places to promote your automobile repair business. 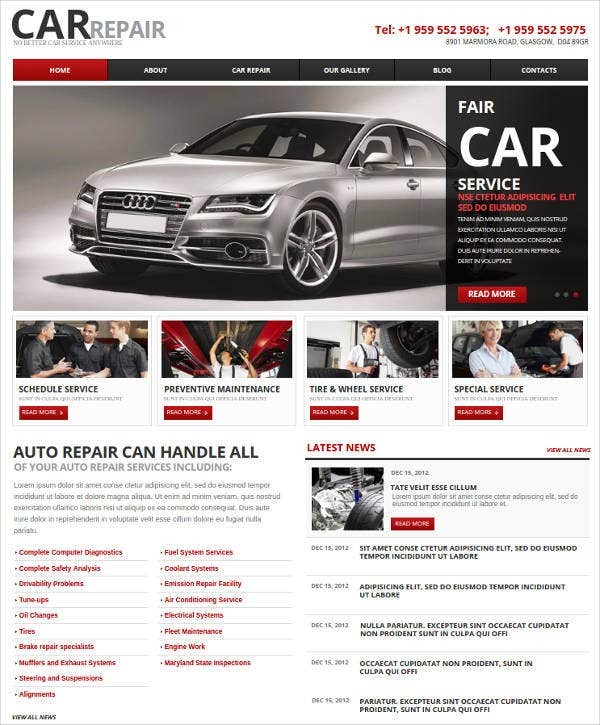 The premium car website templates enable you to put forth your business in a professional, attractive and clean format. This imparts credibility to your business and generates more clients. Interesting combination of background colors, quality stock images, content display and main scheme; and the easy navigation of these templates excite and convince the viewer to look for more information about you. 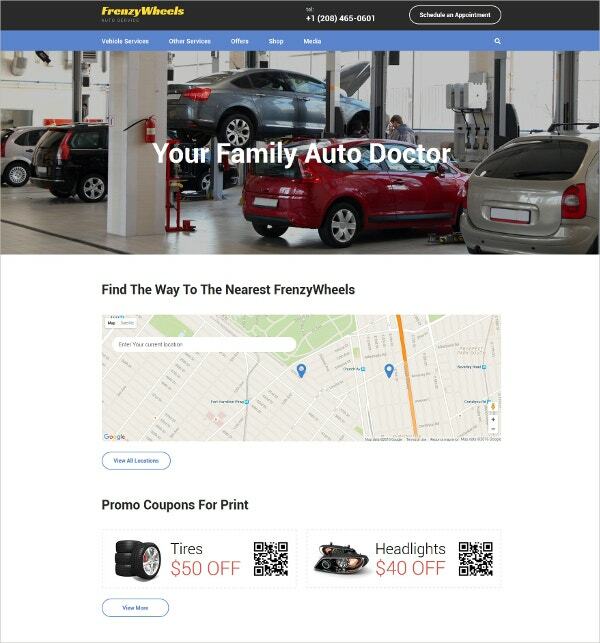 You may also see Automotive Joomla Templates. It is a highly responsive and fast loading website that looks great on any device. It has features such as handy drag-and-drop editor, modifiable widgets, color picking options, parallax effect and creative animations, content representation with slider and auto player, Google fonts integration facility, advanced SEO options, blog functionality, a white label for brand establishments, and cross-browser compatibility. 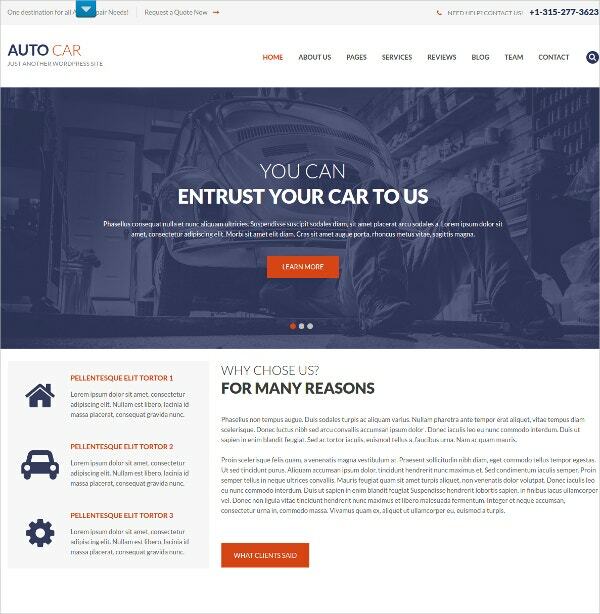 You can alos see Automobiles Magento Templates. 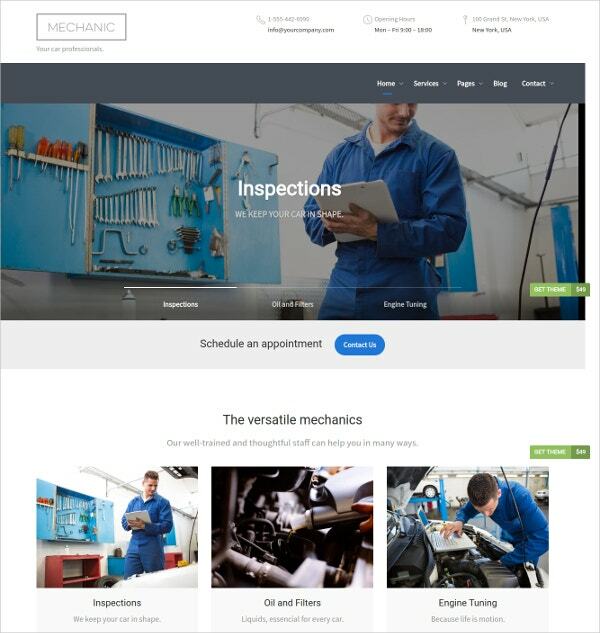 This theme is for car mechanics, car workshops, car parts shops, car wash services, car rentals, car dealers, auto painting services, auto glass shops, and tire and wheel shops. This clutter-free theme has features such as drag-and-drop page builder, easy customization, fully responsive, custom widgets, unique blog layout, touch friendly, and more. 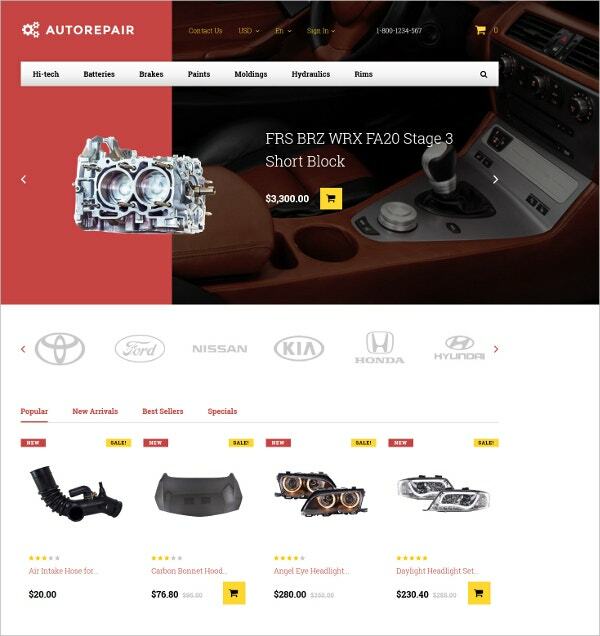 You may also see Auto Parts Magento Templates. 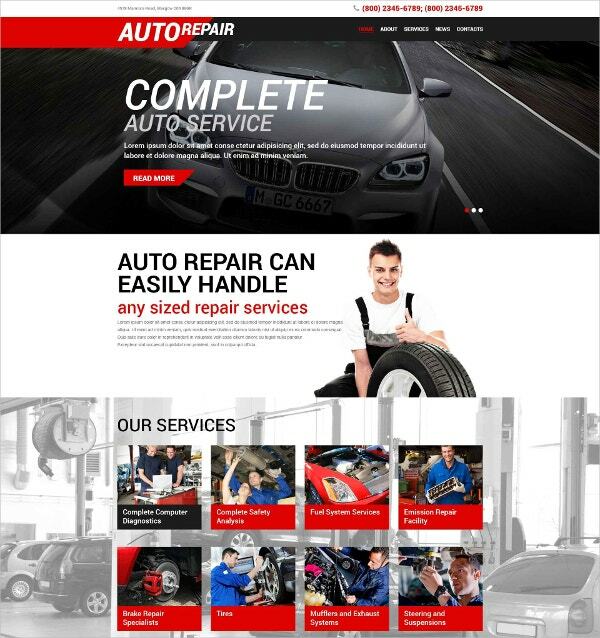 This theme is great for car and bikes spare parts shops. With professional layout and attractive color combinations, this highly responsive website has features such as customizable colors, easily sliding, vast loading, Ajax search, blog, product badges, quick view, documentation, TM Mega layout, etc. Its multilingual and multicurrency properties widen the customer search. 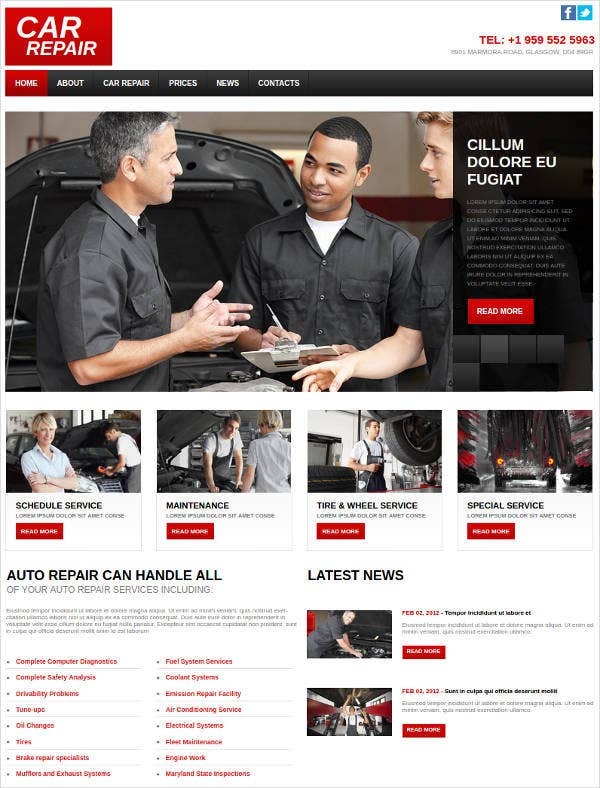 This template perfectly fits auto mechanics, car wash services, car repair shops, garages, mechanic workshops, auto centres, auto painting, car service Mot, maintenance services, vehicle diagnostics, etc. This awesome looking WordPress Theme website has a visual composer, parallax effect, 2 service page layout, free rev slider, unique functionality and effects, Google font, cross browser optimization, and smooth transition effects. This responsive layout constructed with Bootstrap 3.3, this smooth browsing website has lots of UI elements and blocks for building online stores or blog. It has features like live search and contact forms, pre-designed e-commerce page template, SEO friendly coding, feature-rich footer, live chat modules, integrated custom Google map, etc. 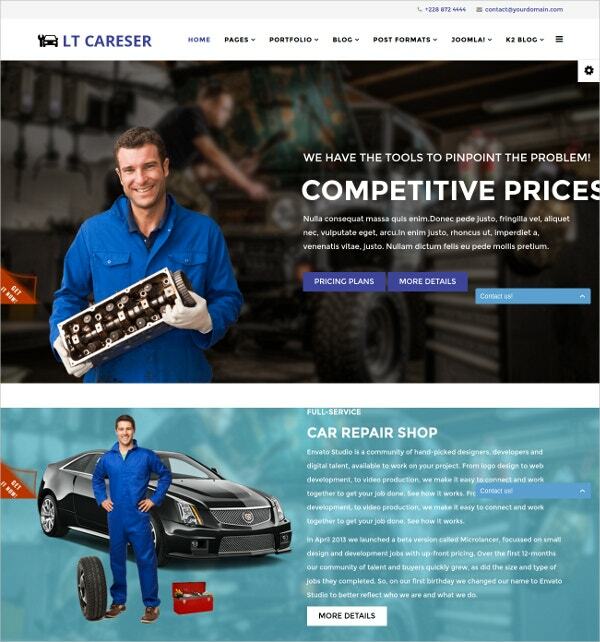 This is a modern and elegant WordPress theme for car mechanic and repair services shops. It has 2 different homepage styles, services, portfolio, quote form, etc. 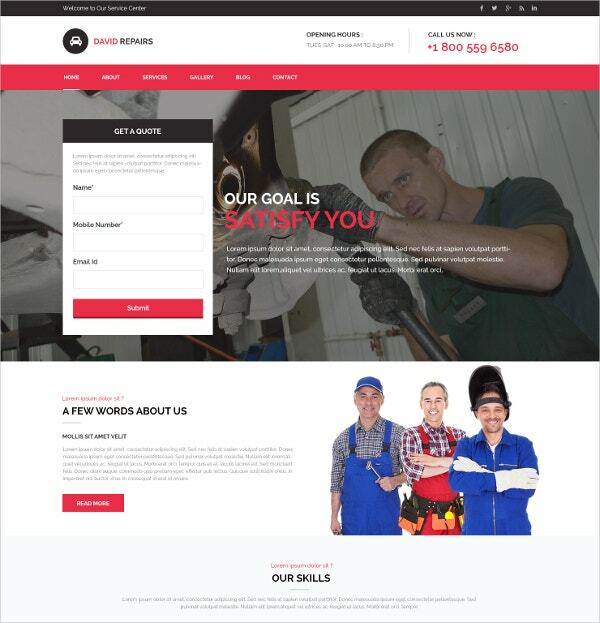 This fully responsive website is cross browser compatible, and has features such as FooGallery, Shortcode UI page builder, Mailchip for WP, contact form 7, portfolio, clean code, detail documentation, and full customization facility. 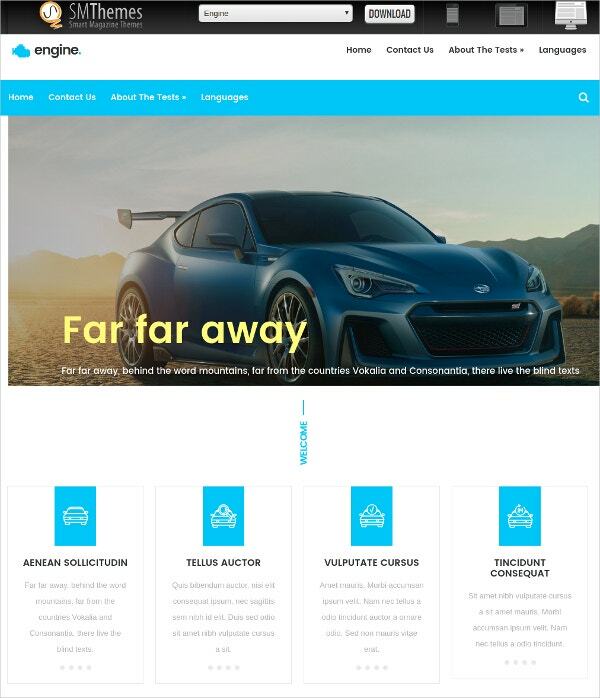 This is an elegant, modern and fully responsive WordPress theme perfectly suits car portals, car review sites, auto magazines, etc. Key features include easy installation, customization, cross-browser compatibility, 11 homepage layouts, 2 footer styles, 5 header styles, 8 slider styles, 4 blog post styles, 40+ hover effects, 2 portfolio styles, parallax and video background, easy navigation, and more. 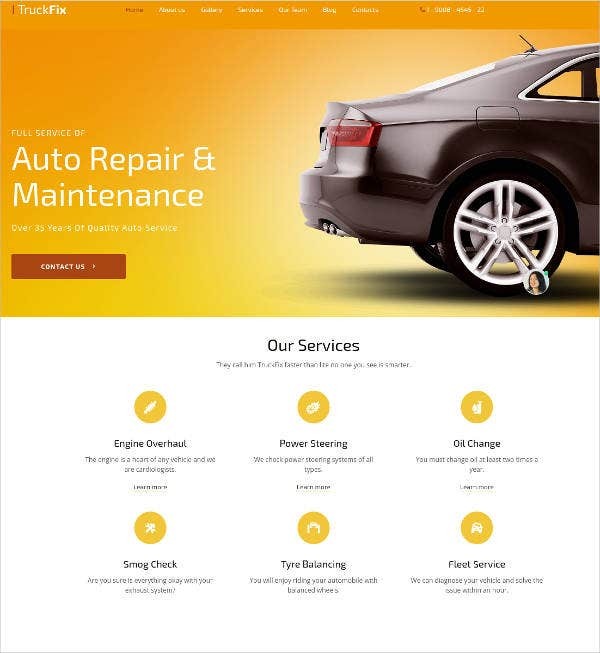 Designed for auto repair, auto mechanic, car repair, car service and oil change station, this theme comes with features like 12 months support, 12 months frequent updates, 700+ support Youtube videos, etc. This elegant looking site is optimized for tablets, mobile, desktops and laptops. It also comes with a 30 days refund policy. 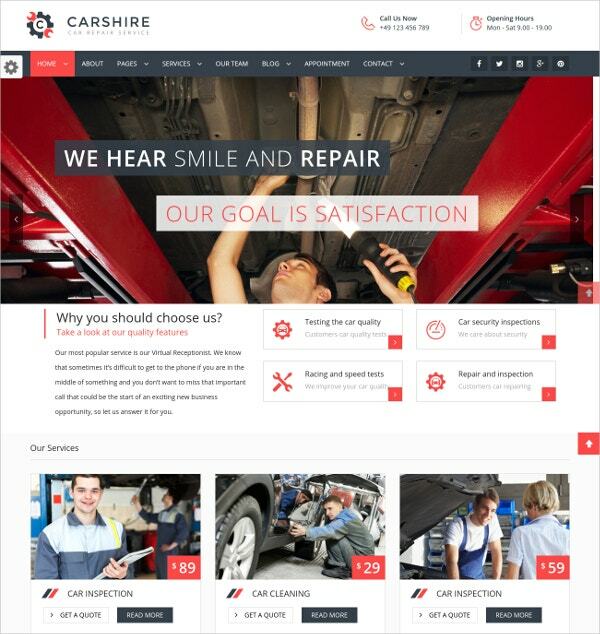 Specially designed for car repair service stations, this theme comes with Joomla compatibility, advanced theme options, easy to install features, cross-browser compatibility, Google fonts, Drop down menu, Social options, tooltips, commenting system, back-to-top button, search engine friendly, gallery, forum, blog, etc. The installation instructions are attached when you buy this template. 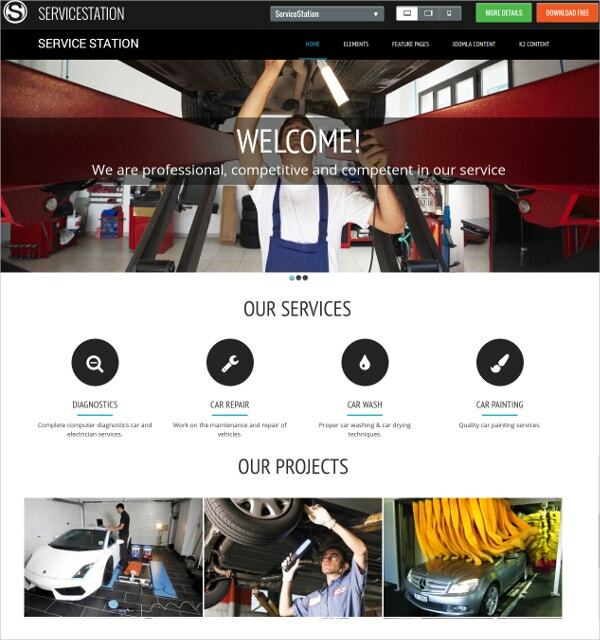 Designed exclusively for car service workshops and service stations, this fully responsive WordPress theme comes with features including woo Commerce, ultra flexible admin panel, multilingual compatibility, RTL support, powerful admin panel, user-friendly short code generator, visual composer, styles manager, numerous individual options for each page, unlimited sliders, unlimited colors, visual composer, unlimited sidebars, translation ready, etc. 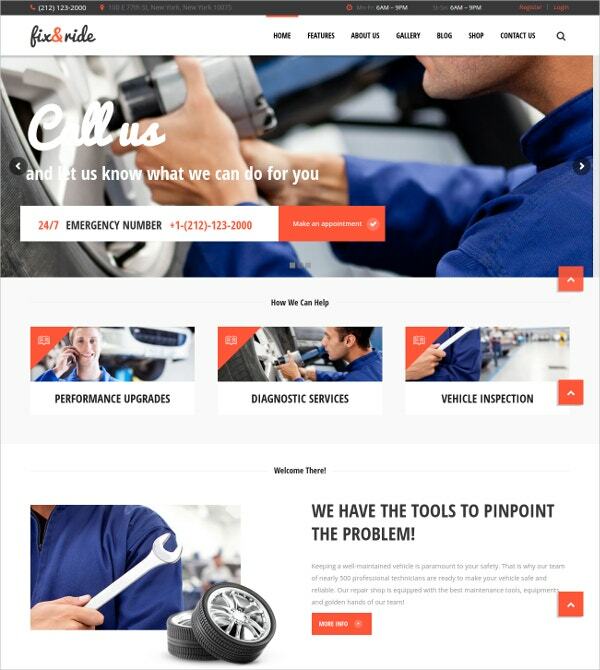 This Joomla template is designed for car repair and services websites. 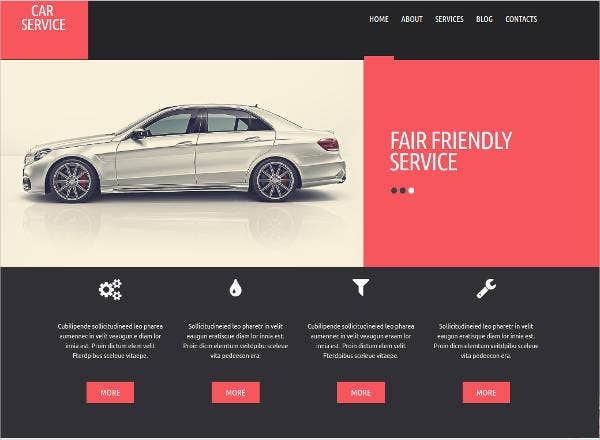 Its elegant design, soft colors, high resolution, strong shortcodes, trendy page builder, multilingual compatibility, user-friendly services template, fully responsive feature, minimal style, strong framework, page title options, social comments, article post formats, improved layout manager, etc make it a great option. 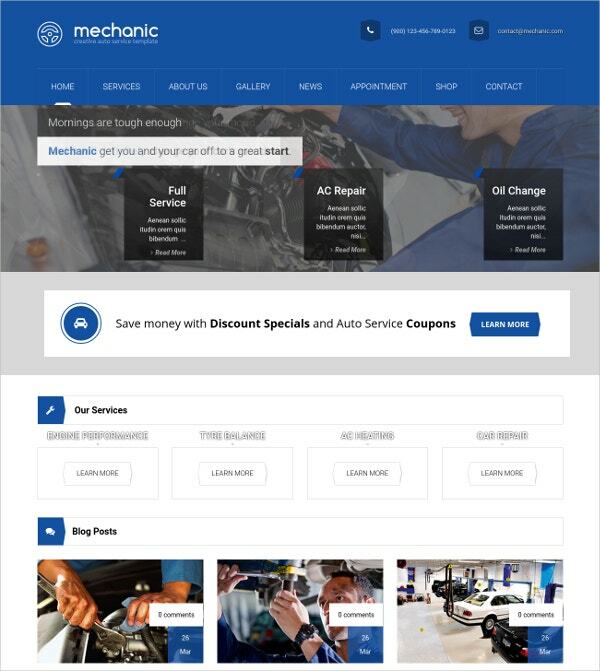 This theme perfectly suits auto repair, auto mechanic, car repair, car service and oil change stations, this theme comes with features like 12 months support, 12 months frequent updates, 700+ support Youtube videos, etc. This professional looking site is optimized for tablets, mobile, desktops and laptops. It also comes with a 30 days refund policy. 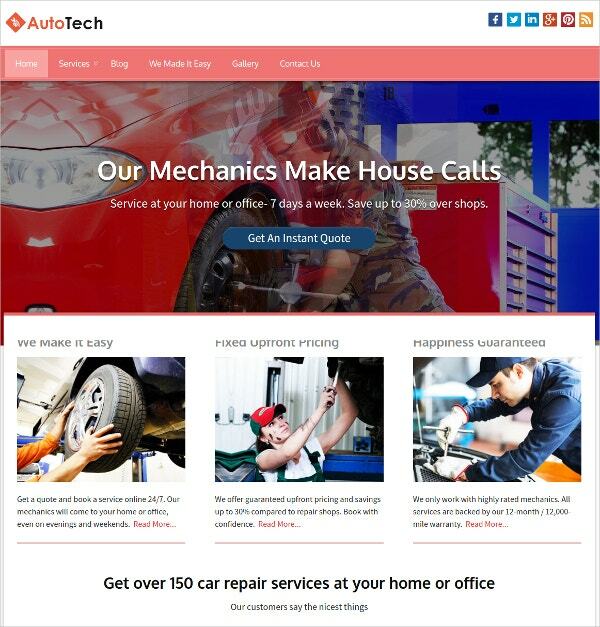 This automechanic WordPress theme suits automobile mechanics, auto parts retailers, and automobile service centers. It is fully responsive, and has features including easily customization, easy navigation, powerful admin panel, colorful theme, inbuilt SEO, cross browser compatible, outstanding support, easy-to-install, compatible with latest plugins, custom CSS option, three column feature areas, different page layouts, etc. 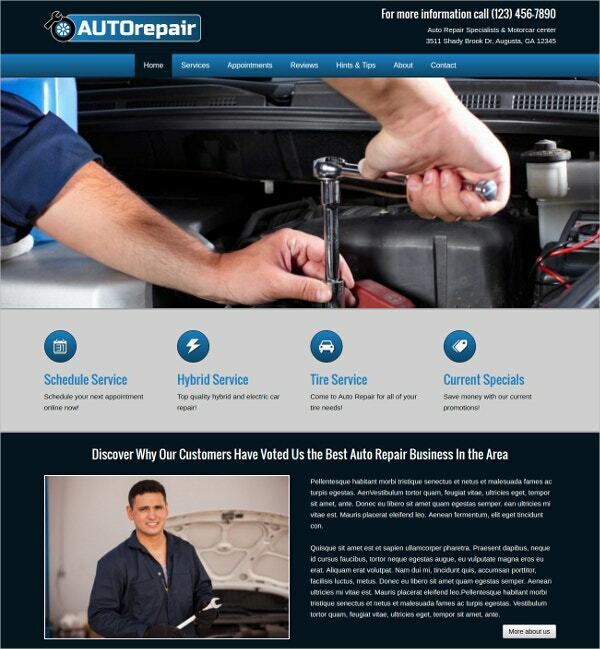 This auto repair and service WordPress theme is 100% responsive. 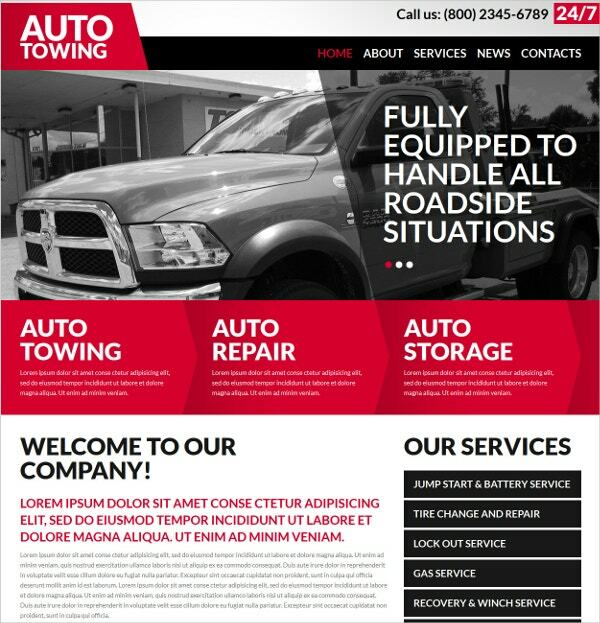 Its features such as fully editable, multilingual ready, custom post types, 80+ shortcodes, 2 step-installation, SEO ready, fantastic sliders, filterable portfolio, custom widgets, lifetime free updates, customize typography, multiple color options, parallax effect, lazy load effect, and many more that render a ‘highly credible’ effect to your business. 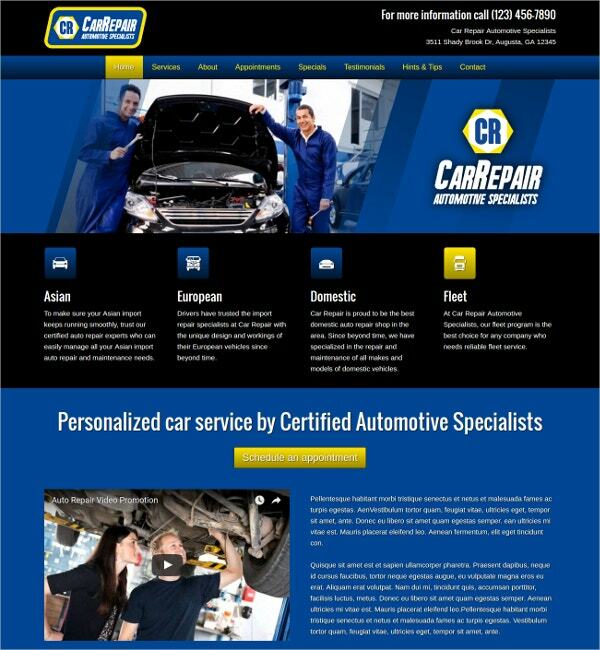 This theme is designed for auto mechanics, car repair shops, car wash services, auto blogs, garages, and other vehicle maintenance service providers. This fully responsive theme includes several shortcodes and widgets, visual composer, revolution slider, clean typography, essential grid galleries, home page layouts, translation options, SEO friendly, minimal design, WP booking plugin, retina readiness, mobile device optimization, etc. This PSD website template is unique, elegant and based on Bootstrap. It can be easily converted to responsible HTML. It has pages including home, blog, blog overview, contact form, about us, gallery, etc. It is well arranged, easily customizable, active and hover states included, guides included, free Icon fonts used, free Google fonts used, etc. 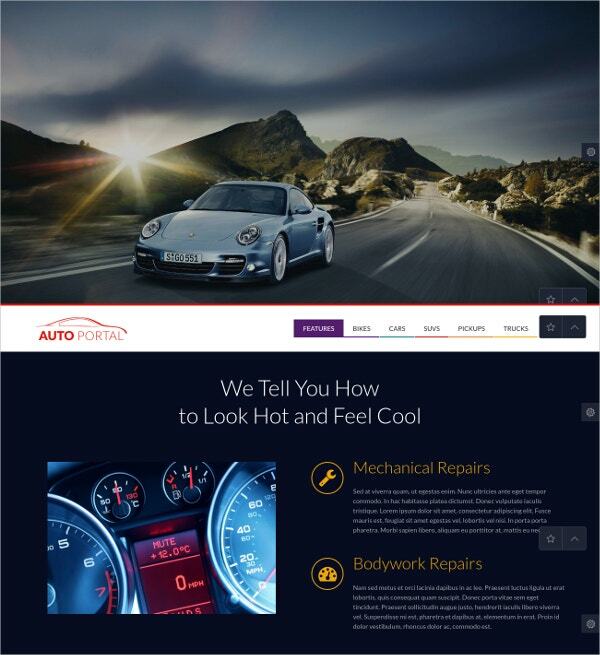 This is a well-crafted stylish WordPress theme with a neat layout specifically designed for news portals, online stores, car blogs, magazines, etc. It is fully responsive, cross browser compatible, Ecwid supported, dynamic content loader, SMT framework 2.0, Google Maps shortcode, WooCommerce supported, custom sidebars, custom widgets ready, SEO optimization, shortcodes ready, translation options, and has contact page. 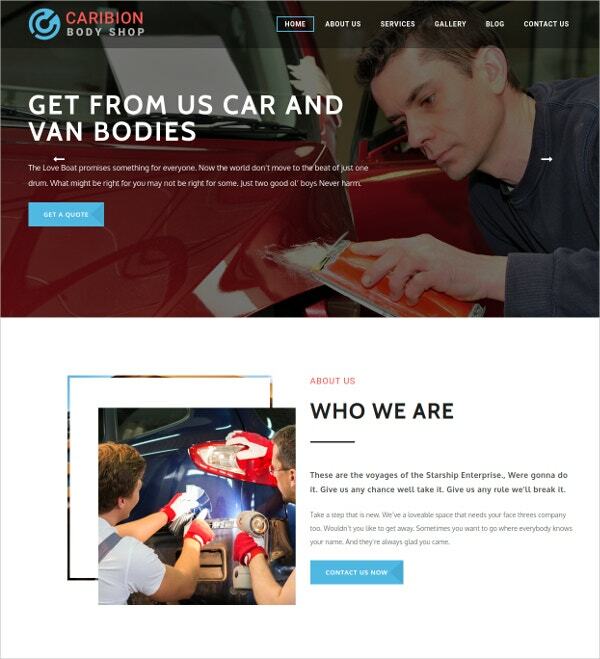 This is a completely color changing WordPress theme for car dealers, car mechanics, auto mechanics, auto repair services, garages, and workshops. It is cross browser compatible, fully responsive, retina ready, WooCommerce and eCommerce compatible, gallery plugins compatible, Google font ready, SEO compatible, social plugins compatible, widget friendly, 580+ font based icons, etc. 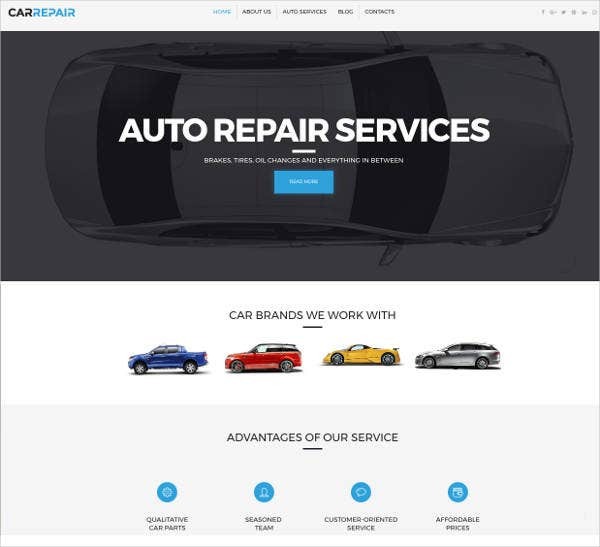 This is Joomla template that perfectly suits car repair, service stations, car cleaning services, auto repair saloons, and other automotive services of the like. Its features are quick installation, responsive, built on bootstrap3, cross- browser compatible, Google fonts, Joomla blank template, awesome jQuery effects, contact form, social links, handy pricing tables, and many more. 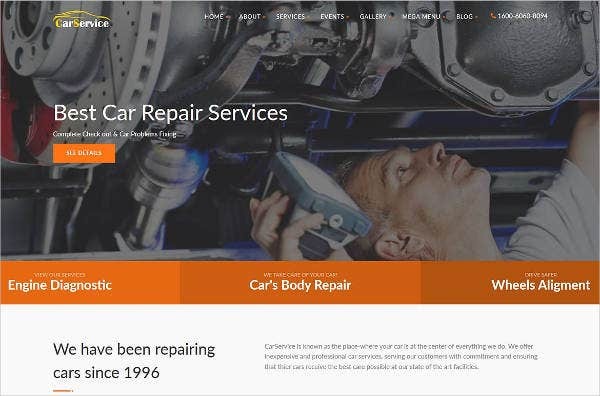 Tailor made car dealer website templates for businesses like auto repair, auto mechanic, car repair, car services, oil change stations, service stations, car cleaning services, auto repair saloons, etc make your job easy. You can simply buy these or download the free ones, customize them as per your needs and likings, install them, and be on your road to success! You may also see Bike Shop OpenCart Templates.